Our February Spotlight Group brings a spiritual touch to their choices! 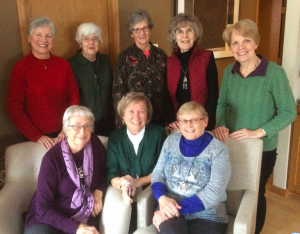 The Fact, Faith, and Fiction Book Group of Northfield, Minnesota meets monthly in the homes of members. We choose our books as a group three to four months ahead of time. Many are nonfiction, often with a spiritual bent. Half of our group is new to the community, while the others are long-term residents of Northfield. It’s a great group that is always respectful of others’ thoughts and opinions. Wonderfully, we all have spouses so we can have couples social events. We have talked about a couples book discussion but never followed through.